Nothing says ‘I love you’ quite like a stunning collection of fresh cut flowers in a stylish container. Our on-trend Flower Market designers are gearing up for all things Valentine’s Day. From traditional vases of long-stem roses to our unique mixed bouquets and floral arrangements, our florists will create the perfect arrangement for your Valentine. Our delivery service will be in full swing, so be sure to call ahead and we’ll send flowers straight to your sweetie. Our gift shop is stocked with beautiful accessories, luscious bath products, houseplants, books and Valentine’s cards for your special someone. 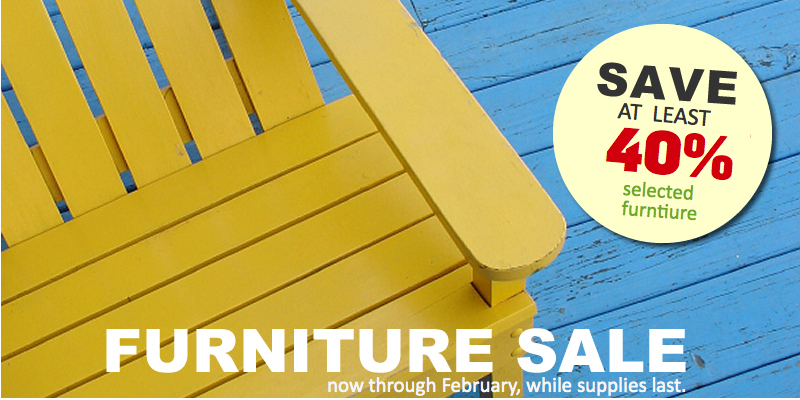 February Furniture Sale: Find that missing piece for your home or office. Selected furniture is at least 40% off through February while supplies last. In the midst of the Teton winter it is a delight to be able to grow food indoors. Starting seeds is always a hit with kids, so include them in this project. Salad greens are an inexpensive way to provide fresh food and are full of essential vitamins such as vitamin A, C and dietary fiber. 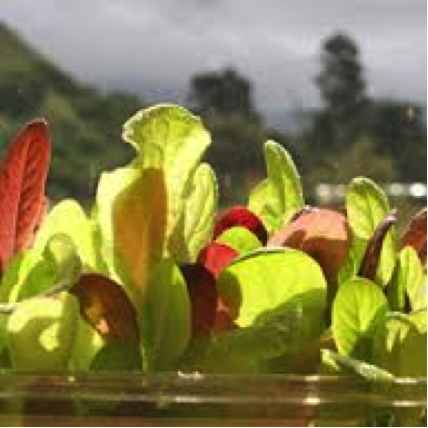 Lettuce is one of the fastest-germinating salad greens. To grow your own salad greens indoors, choose a bright, sunny windowsill. Select a clean container with drainage holes. Try re-using plastic clamshell containers like the ones that contain salad greens. Fill the container with seedling mix and moisten thoroughly. Sprinkle the seeds over top and cover lightly with more mix. Use a houseplant mister to keep the soil moist. Depending on room temperature and light, the seeds should begin to sprout in about two weeks. To harvest, snip near the base of the plants when they are a few inches tall. Shake all ingredients together in a jar, or whisk in a small bowl. 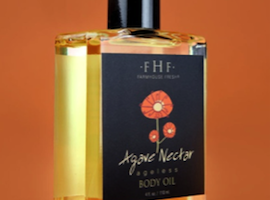 Product of the Month: Farmhouse Fresh Agave Nectar Oil. This lightly scented body oil is the perfect antidote to dry winter skin. Apply it after bathing to rehydrate your skin. Agave Nectar is combined with other natural oils to leave skin feeling soft, not greasy. As with all Farmhouse Fresh products, it’s paraben and sulfate free. 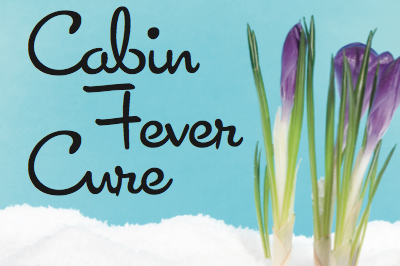 This classic book is a staff favorite when it comes to all things houseplant. From identification to trouble shooting, this book has the answers. Read about the 10 Golden Rules and become a houseplant expert too. Filled with colorful pictures and illustrations, this book also makes a great gift. The name Grosbeak literally means large beak. 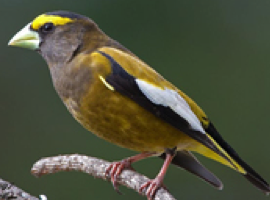 Evening Grosbeaks are found in Canada and the mountains of the western United States. These robin-sized birds are distinguished by their big conical beaks and a yellow and grey plumage with a distinctive yellow ‘eye brow’. The males have yellow plumage and white bands on their wings. Females are more grey than yellow. Flocks of evening grosbeaks are most often seen at feeders during the winter months as they search for food. A platform feeder offering sunflower seeds will attract flocks if they are in the area. They also feed on tree buds, seeds and berries. Evening Grosbeaks breed in coniferous forests and can be found in and around the Tetons year-round. Pause winter for a day on Saturday, March 1st and come into our toasty greenhouse for one-day-only specials, garden classes and more.